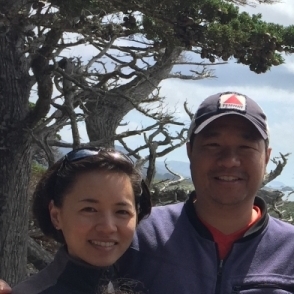 China Tantameng, a program analyst and team leader in Region IX, San Francisco, uses many of the same words to describe the values she learned from her Chinese-American family and her almost 17 years working at the Office of Inspector General. "My great-grandparents came to the U.S. with an ethos, shared by many, that is centered around family, working hard, and helping others," said Tantameng, a second-generation Asian- American: Her maternal great-grandfather emigrated from China in the 1930s. He served in the U.S. military. Tantameng likes working at an oversight agency and is passionate about protecting the integrity of HHS programs, including Medicare, and the well-being of beneficiaries served by HHS programs. "I feel strongly that people should have access to quality care, so improving health care programs is important to me," she said. "I like that we are independent and have an impact on programs that help improve the well-being of people." As a young child, she dreamed of using her mind and interest in science to help others. "As a child growing up, I always wanted to help people, so I thought being a doctor and curing cancer would be the way to go," she said. In college, she earned a bachelor's degree in biology at the University of Michigan and master's degree in public health, focusing on public policy and epidemiology, at Tufts University. Tantameng presented her master's thesis, "The Family Perspective of End-of-Life Care," to staff at the Dana-Farber Cancer Institute. After working for a few years as a researcher, focusing on tumor growth at the National Cancer Institute at the National Institutes of Health, Tantameng decided she "wanted to do something broader to give to others," so she switched from hard sciences to soft sciences. 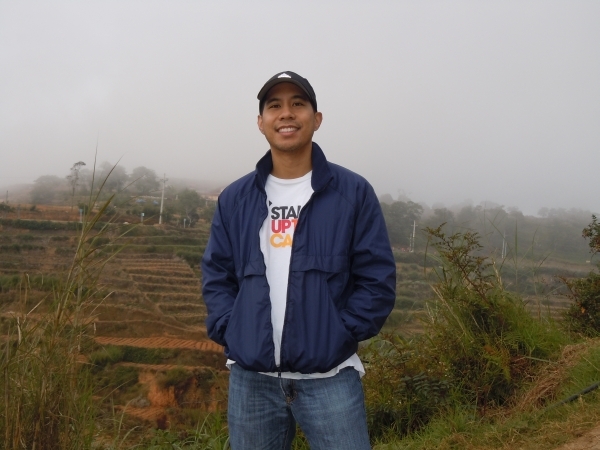 Tantameng joined OIG in July 2000 and has worked on more than 30 evaluation reports as a program analyst in OIG's Office of Evaluation and Inspections. "I enjoy working at OEI because we have an impact in so many different areas of health policy," she said. Aside from her day job, Tantameng has been a longtime volunteer. She taught English to Cambodian refugees to help acclimate them to living in the U.S. and tutored Chinese immigrants to help them find jobs. She now volunteers for her children's school. In her leisure time, she cooks and bakes, which reminds her of one of the favorite parts of her days as research lab scientist: "It's like setting up an experiment, but you get to enjoy the results." Family outings also fill Tantameng's weekends, with travel to Yosemite and Lake Tahoe-skiing, hiking, and always a trip to the ice cream shop. She hopes to travel with her family to China at some point in the future. Tantameng was inspired by a remark by former President Barack Obama, that the importance of family life is raising children who are "kind and useful and strong and generous." To help teach her children to give to others, Tantameng is working to certify her black Labrador with Pet Hug Pack, an animal therapy team in the San Francisco Bay Area. The Pack comforts children, seniors, and veterans through visits to hospitals, rehabilitation centers and skilled nursing facilities, schools, and "pretty much any place where a wet nose is welcome," Tantameng said. 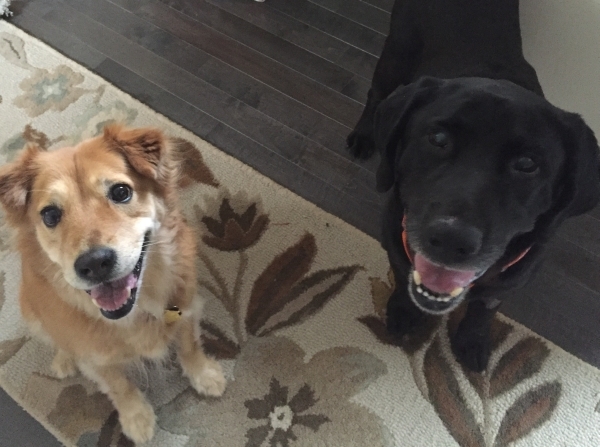 "Animals bring so much joy and comfort to not only their owners, but also to others," she said, "This seems like a good way to teach social responsibility to my children." 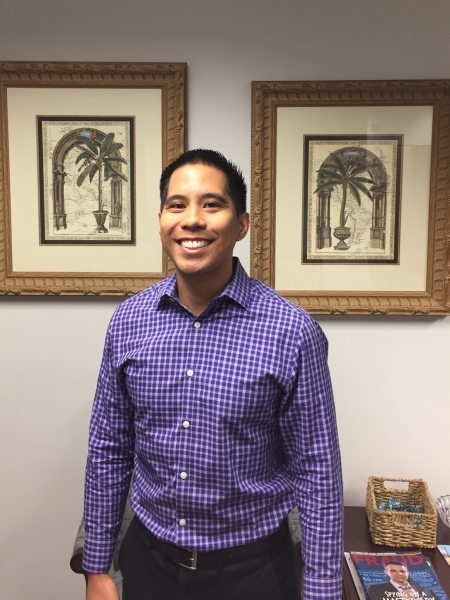 For Erick Bautista, living and working in his hometown of Jacksonville, Florida, is a dream come true because he is close to his Filipino-American family while enjoying working for the Federal Government and furthering HHS OIG's people-focused mission. "I really like living and working in my hometown, and the benefits of Government service are great. Plus, at HHS, I know my work directly impacts people receiving benefits—making sure that people who need services receive them," he said. Staying close to his family is important to Bautista, who names his father as the greatest influence on his personal and professional life. Bautista's father, who grew up on a farm in the Philippines, emigrated to the U.S. to find greater opportunity for his family. He served in the U.S. military during the Vietnam War. "When he came to the U.S. at the age of 18, he only had $5 in his pocket. After retirement, he used the skills he learned in his 22 years with the Navy to obtain a position with the Department of Defense as an aircraft engine mechanic," Bautista said. "I greatly admire my father." 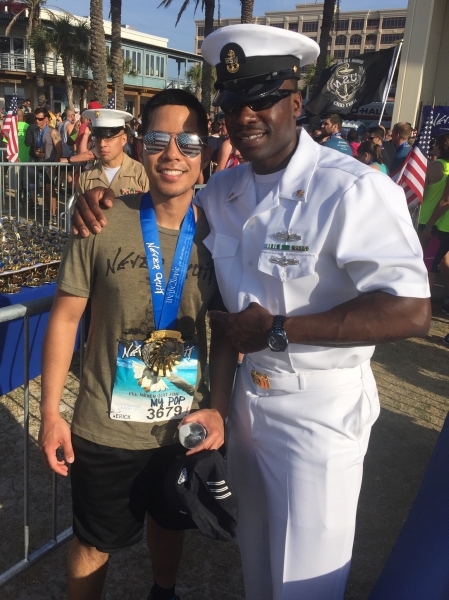 Bautista's father was stationed in Jacksonville, and the family quickly found a sense of community in a city where Filipino-Americans make up the largest immigrant community. In 2001, Bautista earned a bachelor's degree in business management at the University of Florida at Jacksonville. In an effort broaden his job opportunities, he earned a second bachelor's degree, this time in accounting, at the University of North Florida in 2003. As an undergraduate, Bautista joined the Filipino Student Association, whose members performed Filipino dances in traditional garb at cultural festivals. "Through the association, I got to discover traditional dance and culture of the Philippines and just socialize," he said. In 2004, Bautista joined OIG as an auditor in the Jacksonville regional office and was promoted to senior auditor in early 2017. In his time away from work, travel is a priority for Bautista. He has ventured to the Philippines, visiting several cities, including the hometowns of his mother (Manila) and father (La Union). Although many Filipinos speak English, these trips provided Bautista an opportunity to practice the Filipino language, Tagalog. His travels also exposed Bautista to the generosity and warmth of the Filipino people. "Although the country doesn't have an abundance of resources, people are happy with their modest style of living and make the most of what they have. Filipinos are also a resilient people, as we saw after Super Typhoon Haiyan hit in 2013, with neighbors sharing with neighbors in even the most devastated areas," he said. Food is an important part of Filipino culture, Bautista said. 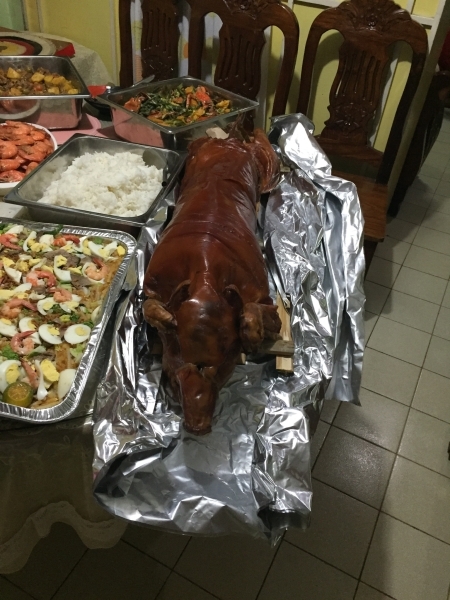 Some of the traditional recipes handed down in his family are lechon, a whole pig slow-roasted in salt and fat, and a noodle dish, Pancit Palabok, which contains finely chopped eggs, vegetables, and toasted garlic and is topped with shrimp, more hardboiled eggs, and chicarrones (fried pork rinds). These dishes are another tie to Bautista's roots, and they are a show of hospitality for visitors. "Any visitor into our home will be comfortable and will be well-fed - a version of U.S. Southern hospitality," he said.